At the start of April, I boldly exclaimed that I would be doing two writing challenges despite that month being one of the busiest of my life. I also promised I would blog a lot. Then I promptly disappeared off the face of the earth, which was rather rude of me but to be fair I HAVE been unusually busy. Six weeks ago, you see, I married the love of my life. 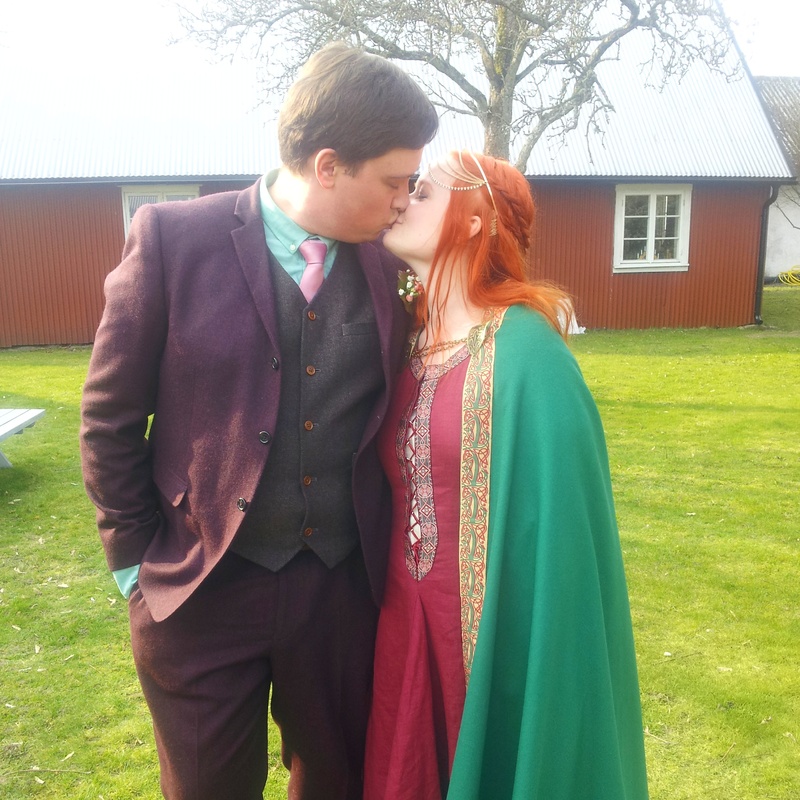 Then a few weeks after that we both flew from Sweden to Australia to watch my little sis marry the love of her life last weekend. Now we’re back in Sweden, struggling to fix our very confused body clocks, and trying to return to this so-called “normal life” people tell us about. All of these things, naturally, need their own blog posts to be thoroughly covered. While in Australia we spent a weekend in Sydney and also spent some time exploring the beachside suburbia where I spent half my life before moving to this colder climate (there is actually a beach at the end of my street here in Sweden, but it has no waves and sometimes freezes over in Winter…meanwhile we went swimming in the Australian “winter” so you know…all perspective I guess?). Our own wedding, in particular, needs at least one post. Not just for the photos, but because it was a momentous occasion – long time readers may recall that it was in fact due to blogging that my wife and I met at all, and we spent the first two years of our relationship on opposite sides of the planet before I moved to Sweden last year. So our wedding is the culmination of a lot of patience, persistence and determination, among other things. But it was also not your typical wedding…anyway, I’ll save that for next time. Essentially this post was just a quick “I’m actually alive and this time I have a good excuse for not blogging” sort of thing. But I will get more posts up soon detailing our latest adventures, and then I may even return to writing about books and music and all that stuff. Hope you are all well, fellow readers, writers and awesome people. This entry was posted in Life, Stuff about me, Sweden and tagged Australia, Life, Marriage, Sweden, Travel, Wedding. Bookmark the permalink. OH MY GOSH CONGRATULATIONS!!! That’s so exciting! I feel like every sentence I write in this comment should have an exclamation mark at the end I’m that excited for you! Oh you guys! Blogging really does bring people and the world together! But seriously, I married the most beautiful woman anyone has ever laid eyes on. 😀 ❤ I am a crazy lucky man! Congrats on your wedding! I can’t wait to see more pictures!